The Australian Government has slashed the number of permanent visas it grants every year while announcing two new ‘geographically restricted’ skilled visas for regional areas of the country. But some fear that the road to permanent residency for those on temporary visas will become much tougher with these latest measures. In order to ease congestion in Australia’s major cities such as Sydney and Melbourne, and to distribute the population to regional areas, the Government will introduce regional visas that will require a minimum three years of residence in regional Australia as a necessary condition for their permanent residency. However, there are concerns these measures will make the road to permanent residency more difficult for those already in Australia on temporary visas. 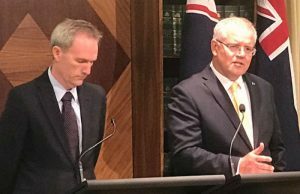 23,000 visa places will be reserved for new skilled regional visas within the 160,000 permanent visas to be issued under Australia’s scaled back migration planning level, announced by Prime Minister Scott Morrison on Wednesday. The Government will also encourage international students to take up courses outside Sydney, Melbourne and Southeast Queensland in regional universities. 1000 scholarships of $15,000 each for local and overseas students have been announced as a measure to attract overseas students to the regions. Another incentive being offered to them is an additional year in Australia on a post-study work visa. The Federal Minister for Cities, Urban Infrastructure and Population, Alan Tudge, said a combination of reducing the immigration intake, new regional visas and encouraging students to study at regional universities will take some pressure off Sydney and Melbourne. “Not only are we easing off the migration rate overall, but we are also providing 23,000 geographically restricted visas, basically anywhere outside the big capitals,” Mr Tudge told Sky News. “What you do after three years you’ll check to make sure, through the ATO, that you’ve been employed there, you’ve got electricity bills for example, which say that you have been living in the area,” Mr Tudge said. Currently available regional pathways to permanent residency require visa holders to live in particular regions for at least two years. The new measures announced on Wednesday add another year to that requirement. The Skilled Employers Sponsored Regional visa, currently known as the Regional Sponsored Migration Scheme, will have places increased from 6,000 to 9,000, and state and territory sponsored visa places will increase from 8,500 to 14,000. These visa holders will be given priority processing and will have access to a larger pool of eligible occupations for permanent residency. Minister for Immigration, Citizenship and Multicultural Affairs, David Coleman said visa holders will be able to move within the regional areas. “They will be able to work anywhere outside Sydney, Melbourne, Brisbane, Gold Coast and Perth. If they do, they will lose their visa and they will not be able to settle in Australia,” he said. Mr Coleman said during the last financial year, there was a compliance rate of 99 per cent as the requirement of working in regional areas was linked to permanent residency. He said an additional $7million will be allocated to ensure compliance with this condition. However, there are fears that the cut in the annual migration cap will put further squeeze on skilled independent visas. “It’s evident that the additional regional visas places are going to be created by slashing the number of independent skilled visa that allowed visa holders to live and work anywhere. That category is already experiencing a significant squeeze in some occupations and with these changes, my understanding is that it will be far more difficult now for people to get permanent residency,” migration agent Chamanpreet told. Mr Coleman said there’s no change to the family visas under the new migration program. The Government says the new cap of 160,000 permanent visas will be maintained for the next four years. 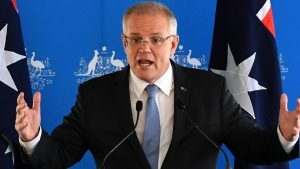 Last year, Mr Morrison who was the Federal Treasurer at the time, opposed a cut to the migration intake saying it would adversely affect the economy. He said the enhanced integrity measured introduced since he was the Immigration Minister meant that fewer applicants were making the cut. Australia’s annual permanent migration planning level remained consistent at 190,000 since 2011. The actual intake was almost in line with the planning levels until the last financial year when the intake fell to just over 162,000 for the first time since 2007-08. The decline last year was primarily driven by a cut in skilled and family stream visas with the skilled visa approvals slashed by 12,000 and a 15 per cent cut in family visas. In 2016-17, the immigration intake was 183,000 people.